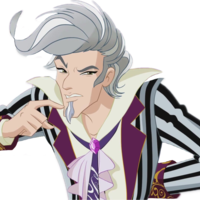 Casting Call Club : Winx Club HarmonyMe Fandub. 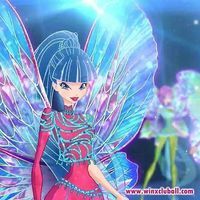 Casting Call for Winx Club HarmonyMe Fandub. About Winx Club HarmonyMe Fandub. It's Bloom. She is main charracter of the show. She is fairy of the dragon flame. She loves cooking, She has a strong voice while she transform. And the Winx are right behind you, Magic Winx, Sirenix! Bloom, fairy of the dragon flame! It's Stella. She is fairy of the shining sun. She is so much funny charracter. Also she really loves herself. She is so obsessed with fashion, her best friend is Bloom. Hello, I'm Stella! I love fashion, particularly, um... Uh, sorry, can we start again? Uh, hello. Over here, camera! Oh, wait, I have to pick out the right dress. Something stylish, yet athletic enough to chase down the Talent Thief. Stella, fairy of the shining sun! It's Flora. She is fairy of nature. Like her power she is crazy about flowers and nature. She don't talk so much, she is so shy. Her best friend is Aisha. You shouldn't use magic, Stella. We need to get used to passing as normal girls. You haven't had my herbal tea yet. It will help focus on it. Mmm! It's Aisha. She is fairy of Waves. She is obsessed with sports, tennis, football or whatever, she loves every sports. Her best friend is Flora. Huh? Great! We spent all this time chasing a cat? 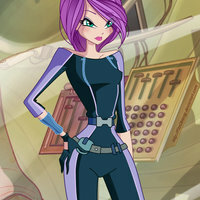 Tecna and her gadgets! Come on, Bloom, keep up! The voice is a delicate instrument. It needs to be warmed up slowly. It's Tecna, she is fairy of technology. She knows everything about technological tools. She also has a serious voice. Her best friend is Musa. Keep close. He could still be around here. The data confirms. He is the presenter of WOW show! He is so energetic ,hyperactive and superficial. Welcome to the new season of wow-wow-wow "WOW!" Our amazing reality-talent show! So these are our stars on a typical Gardenia morning. What's on your fantastic plate for today, girls? And now, let's meet our "Wow!" talent scouts up close!